Neil O'Brien - Coach & Leadership Speaker. Occupational Psychologist, leadership development consultant, speaker. As a registered occupational psychologist, Neil O’Brien is one of the foremost leadership and career coaches in the country. He has worked with numerous blue chip companies to develop high potential individuals into leaders. Neil O’Brien is a Registered Occupational Psychologist, and as such he has been involved in the area of assessment and people development for over 14 years. He began his career with SHL, learning the fundamental skills of an Occupational Psychologist, and his career with SHL brought him from Ireland to the UK and eventually to Sydney, Australia. During his time with SHL, Neil worked with a number of blue chip organisations, his main focus being the assessment and development of others. From here, Neil joined PwC in Australia, ultimately becoming Senior Manager for Leadership Development. Here, his responsibilities included the identification of high-potential individuals and designing leadership development initiatives to ascertain levels of ability. He was also involved in redesigning the graduate recruitment process for PWC Australia. 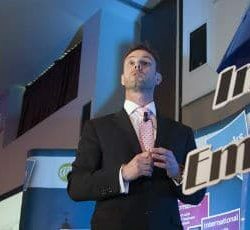 Neil has also worked with Pearn Kandola, global leaders in Occupational Psychology, and in 2009 he founded O’Brien Consulting Business Psychologists Lrt (OBC) and has been consulting to many of the major public and private sector organisations in Ireland, the UK and mainland Europe. Outside of the world of business, Neil is also an IRFU certified strength and conditioning coach and has been instrumental in the development of high performing rugby teams. 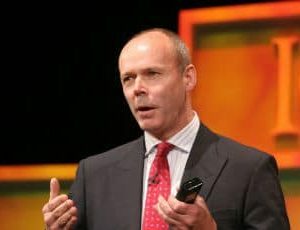 Through his career, he has worked with such companies as Bord na Mona, KPMG Ireland, PwC, Bank of Ireland Group, AIB, BBC, BG Exploration, Council of Europe, Irish Defence Forces, Irish Bankers Institute, eircom, Kerry Group, Microsoft, Google, Mercer, Axa, Accenture, Qantas and Aer Lingus. Neil’s range of experience means that his coaching skills can be applied in an unrivalled variety of settings, including career coaching, business coaching, life coaching and sports coaching.